TO VIEW ALL OF OUR WEDDING FAVOR OPTIONS PLEASE VISIT OUR WEBSITE. Featuring photos in Dahnke Ballroom at Notre Dame Stadium by Katie Whitcomb Photography. NATHANIEL EDMUNDS PHOTOGRAPHY // About the Photographers This brother-sister team began their business in 2001. The key to their decade-long success is maintaining a well-organized business with distinct areas of responsibility. They are genuinely honored and humbled to capture momentous occasions for their clients. In regards to shooting this issue’s cover, they say, “We particularly love when we get the opportunity to stretch ourselves for such a prestigious magazine. It was an honor to collaborate with an exciting team of professionals that exceeded their A-game." WeddingDay is a fully integrated marketing program designed to reach local engaged couples planning their wedding, utilizing a number of tools such as magazines, bridal shows, website, e-marketing services, direct marketing, sponsorships and contests. WeddingDay print edition is a quarterly publication of Life Events Media, a subsidiary of Monkeyhouse Marketing & Design LLC. WeddingDay is distributed throughout Central Indiana at targeted locations frequented by this audience. 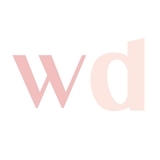 Any and all materials published in WeddingDay are the sole property of said publication, without exclusion. Editorial and or advertising content, including all design, copy, photography, illustrations and artwork shall not be reproduced in any manner without written consent of WeddingDay. The publisher makes every effort to ensure the accuracy of the information published but cannot be held liable for any consequences arising from omissions or errors. Any claims or opinions expressed by the writers and advertisers are not necessarily the opinions of WeddingDay. For advertising information, call 574-303-4057. Advertising and Editorial Offices: 742 S. Eddy St., South Bend, IN 46615. For permissions and reprint requests, please call or fax (574) 217–8698 or e-mail to info@weddingday-online.com. 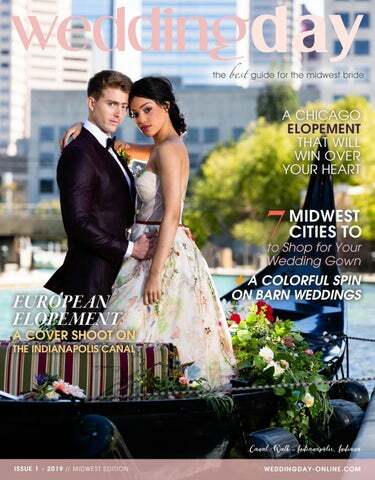 Readers interested in having their wedding considered for publication in WeddingDay may submit a brief paragraph about the wedding to: WeddingDay Magazine, 742 S. Eddy St., South Bend, IN 46615, or e-mail to info@weddingday-online.com. Please note that due to volume we are unable to respond to all submitted requests. WeddingDay copyright 2019. We’re More than Four Walls and a Chandelier! A contemporary, sophisticated facility with full-service party planning, including catering and rentals. Host your event at a premier venue with incredible architecture and timeless automobiles. Located 20 minutes north of Fort Wayne, IN! orthern Indiana brides-tobe may be faced with the belief that their only wedding venue choices are worn-out facilities or run-of-the-mill banquet halls. Albeit, the charm of other venues - a new space in Elkhart, Indiana, LEX 530, is redefining the standards of Midwest style and elegance. LEX 530’s Marketing & Creative Director, Melissa Hiner, describes the venue best, “LEX 530 is a new, modern event center in the newly revitalized River District on the east bank of the Elkhart River in downtown Elkhart, Indiana. Our bright, eclectic center, located at 530 East Lexington Avenue, has an urban feel with 18-foot ceilings, exposed, round duct work and beautiful lighting fixtures throughout.” The fresh facade and interior of LEX 530 offer unlimited styling and versatility so that any couple can plan their dream wedding within its walls. This style shoot dared to push the traditional boundaries of an elegant style and offered a new approach with darker tones, bold décor and sleek event design. Captured by Grace Pulver Photography, the team created an atmosphere that unmistakably translates into youthful prowess and edgy fascination. Using hues of purple, silver and gold, the tablescape used daring items from Burns Rent-Alls to highlight a luxe, modern feel. Marco Alexzondra Floral & Event Services created masterpiece floral features to draw in the eye, while Froehlich’s matched the theme with a two-tiered, marbled cake created by their truly artistic Pastry Chef, Drew Logan. Not to mention, their decadent mini-desserts are the perfect addition to any dessert table. LEX 530 is a space that inspires vendors and brides alike with its alluring style. Plus, they offer the best in wedding service (including that highly sought-after glass of wine). Melissa adds, “We specialize in offering unique boutique wines that guests of LEX 530 will not find any other place in Indiana. Our Owner, Carl Tiedemann, has numerous connections to small, independent winemakers in Napa, and around the world, allowing LEX 530 access to exclusive wines that will make your wedding stand out as an elegant, distinctive, memorable event.” The dynamic and compelling appeal of LEX 530 is sure to attract brides from far beyond the region to experience its impeccable atmosphere. We create the atmosphere... So you can create the memories! Book your upcoming 2019 wedding Book your upcoming 2019 wedding or reception and receive up to or reception and receive up to $750 OFF The Spohn Ballroom or up $750 OFF The Spohn Ballroom or up to $1000 OFF The Blue Teal venues. to $1000 OFF The Blue Teal venues. We have all had a crush that makes our heart flutter and our stomach twist into knots, and for Jordan, her major crush was Evan. The pair met on Jordan’s 18th birthday and Jordan remarks, “He was my biggest crush of all time.” After that, Jordan and Evan quickly fell in love and Evan knew that he had to pop the question. “We were on a secluded hike in front of our favorite waterfall, Elowah Falls,” says Jordan. “It was actually closed due to a trail wash out but that didn’t stop us.” Evan popped the question and Jordan knew the adventure of a lifetime was about to begin. THE DRESS Jordan’s dress was truly one-of-a-kind. She originally purchased an elegant gown, but then transformed it with the help of designer, Stephanie Mai. Jordan says, “We ended up completely transforming it based on other bohemian dresses I loved. She made my dress exactly how I wanted it.” Jordan also outfitted the gown with a gorgeous, sheer kimono from Etsy, which curated that bohemian style. THE VENUE The Blue Dress Barn was the perfect locale for this colorful wedding. Jordan says, â&#x20AC;&#x153;It was like a green dream walking through it. Plus, it was near Lake Michigan and had a cool vintage trailer, fire pit, and lots of space.â&#x20AC;? These welcoming elements helped to create an overall homey and relaxed mood for the wedding. In addition, the organic features, like the outdoor areas and wood interiors, helped to deliver a whimsical feel. THE DÉCOR Keeping in line with her boho vision, Jordan wanted to create an atmosphere that would be warm and bold at the same time. She remarks, “I love earth tones, rust, mustard and copper colors!” Many features of the décor reflect Jordan’s love for these deep, romantic tones. From the rugs laid out for her aisle, to the gold flatware and green-toned glasses — this wedding was packed with rich colors that illuminated the space with a sense of fervor. We love that Jordan hand-made many of the items used for her wedding. She says, “ I spent the year making macrame, tambourines, ribbon wands, spirit animal masks, menu signs, custom invitations, coasters, seating charts, agate stone favors, geoshapes, dream catchers, pillows, etc. I love to thrift shop and found so many hidden gems there as well. Everything was authentic and custom.” It is amazing that Jordan took so much care in creating or finding particular items to make her vision come to life. It speaks to the commitment of having a ceremony that truly reflects who the bride and groom are. As seen on the cover of WeddingDay! UP TO? FOLLOW US for the latest giveaways contests events inspiration planning tips and more! Available for weddings, receptions, and parties. CELEBRATE YOUR DAY Our beautiful and unique setting is perfect for your wedding events. Enjoy an all-suite inn with picturesque lake views, a full-service restaurant and personalized attention from a dedicated staff. Your fiancé popped the question and you said yes! Now, for the perfect location: Southwest Michigan. We have a venue to match your wedding dreams and accommodations for your family and friends. All year round, there are so many fun things for everyone to do while they’re here. And, for just the two of you — plenty of romantic honeymoon choices. Get in touch with us. We’ll help put the happy in your ever-after. your dream gown The style of a Midwest bride often starts with the dress that she selects to wear on her wedding day. The dress that becomes "the one" is a true reflection of who a bride is herself. It is the external representation of herself on the most important day of her life. For that reason, the process of picking her dress is the most quintessential step in the wedding planning journey. That is why we have compiled a list of the best salons throughout the Midwest. From Chicago and Detroit to Indianapolis â&#x20AC;&#x201D; these salon offer the best in selection, service and style. The Windy City is home to some of the most stylish salons within the Midwest. From eclectic selections to high-end designers – Chicago's salons offer options for bohemin and glamorous brides alike. You will find salons like Alice in Ivory for delicate, highfashion gowns to house names like Jenny Yoo for timeless, classic choices. Chicago salons offer an exciting bridal shopping experience for every bride. Lose yourself in the ambiance of the city while searching for your dream dress. Detroit Welcome the era of the Detroit Renaissance by finding your perfect gown within the city. Detroit and the surrounding area is home to top class salons like Becker's Bridal. Any bride in the area must visit the Detroit Bridal House, a young and modern salon that caterers to edgy, stylish brides. Detroit salons are curated for the artistic bride who is looking to impress her guests. Hoosier women have been flocking to Indianapolis to find their wedding dresses for awhile now, but something has changed—central Indiana salons are bringing the unexpected into the heart of the Midwest. Check out salons like That Special Touch Bridal, where the team has taken an unassuming Indiana storefront and turned it into a trendy salon. Or salons like Beloved Brides where service is redefined with specialized styling and advice. One thing is for sure, no bride will leave these salons without the dress she has been dreaming of her whole life. Hidden in the lush landscape of Ohio are impressive salons that will surprise you with their upscale interiors and high-class service. In the heart of Cincinnati are several salons that truly offer it all. Visit Hyde Park Bridal where you and your wedding party will be invited into a gorgeous boutique for a truly luxurious shopping experience or book an appointment with Lace Bridal Couture to browse through their impeccable selection of designers. Cincinnati salons offer a quaint, yet vibrant experience for brides. This up and coming area offers a plethora of exciting opportunities for young people — so naturally young and exciting bridal salons have popped up in the past few years. Salons like BIANKA Bridal are servicing fashion-forward brides who want to push the traditional style of wedding gowns and wear a dress that speaks to them. Ali Nicole Bridal, a chic salon with endlessly unique selections, is sure to win the heart of any bride with their variety of gowns for the big day. These Grand Rapids salons are taking tradition and flipping it on its head for their clientele. Louisville Louisville may not be at the top of everyone’s list when it comes to finding their wedding dress, but we are here to say that it should be! The area is home to several salons which will impress even the most exalted of brides. Salons such as Modern Trousseau offer elegant surroundings that will give you a luxurious experience without the stress. Louisville salons may surprise you with their smart service and high-end selections. For the Wisconsin bride, Milwaukee and the immediate area is a tour de force of bridal salons. Book an appointment with salons like Evermore Bridal that offer modern spaces filled with remarkable gowns for every type of bride. You will also be delighted by the gracious and knowledgeable service of its staff. Another bridal boutique, Miss Ruby, offers a charming atmosphere for your shopping with an endless selection. Milwaukee salons are sure to please Wisconsin and brides from across the nation alike. mma and Brian set their sights on an elopement within Chicago through Lace and Brass Events. Emma says, “I already knew I wanted an all-inclusive elopement package. We wanted to elope ASAP since we knew we could only keep the secret for so long. We debated a courthouse wedding, but we wanted something a bit more special. We took less than ten weeks from proposal to wedding.” For Emma and Brian, this was perfect. It was true to the idea that they weren't looking for a lavish wedding with a year worth of planning beforehand—this was simple, honest and profound to the couple. What was once a real working farm in the 1940’s for descendants of the Ball (yes, Ball jar!) family has been uniquely restored into a private sanctuary to host your dream wedding. Located in quaint Yorktown, Indiana, The Lodge sits on fifty acres surrounded by farm fields and woods, yet just a few miles from bustling Muncie. The property still houses the beautifully restored farmhouse from the 1850’s with all the modern amenities to fit into a busy bride’s day of readiness. Located just a mere sidewalk away is the 5,000-square-foot masterpiece fully enclosed space, The Lodge. Boasting a floor plan complete with a reception area, dance floor with twinkle wrapped post and beams from the original 1850’s barn, window lined dining area with stone covered fireplace and mantle, catering room and indoor restrooms, The Lodge is the ideal space for lasting memories. From the bubbling boulders at the entrance to the majestic cathedral ceilings inside it is sure to be a day you and your guests will always remember. There is no one as unique as you and you should have a captivating wedding in a place that is one of a kind! Set on sixteen acres of rolling grass hills and wooded walking trails is a little piece of heaven called The Loft on Isanogel. Located in the charming town of Yorktown, The Loft is just minutes away from the bustle of Muncie. It’s here that you will find your tranquility in the beautifully manicured grounds and one of the oldest restored barns in the area. The Loft is a full 6,000 square foot air conditioned and heated magical space for all that you envision for your fairy tale wedding. Your guests will be enchanted with not only the The Loft, but the covered porch and bubbling water feature. There is even a playground to keep the little ones occupied. venue like the Community Life Center in Indianapolis deserves to be styled with charm, illumination and finery to equal its elegant, yet classic atmosphere. For Sarah Farthing of All In the Details, it was easy to bring to life a regal and romantic feeling within the space. Sarah says, “There are some magnificent structures within this space that are inspiring in their own right. After my first visit, I knew I wanted to do a theme inspired by the powerful chandeliers found throughout the venue.” Working with other top-notch vendors, this fanciful dream was captured by Kaylee Creighton Photography for an extravagant style shoot. The shoot revolved around an icy blue and white color scheme that invited in a sense of prominence. The tablescape featured gorgeous satin, gray linens from BBJ Linen, lush white florals from Knox Flowers and gorgeous glassware from A Classic Party Rental. Perfectly paired with this scheme were a glamorous, smoky eye and deeper tone lip by Something Blue Stylists. The bride was also outfitted in a delicate, lace dress from Nancy’s Bridal. Sarah says, “The Community Life Center’s tower contains one of the most magnificent chandeliers that I have ever seen. That particular piece inspired the entire design scheme for this shoot. Not many venues can boast that they have a fountain inside either, so it was fun to play with that element as well.” Those elements of ice and water are mirrored in the finishing touches of the shoot with a sparkling, three-tiered cake from MJ’s Cupcakery and fantastical stationery designed by Laura Reilly Calligraphy. and receive a discounted rate! Within walking distance to many dining & nightlife options, we will be sure to offer great entertainment nearby while staying in our vibrant city! Experience all the luxuries a first-class country club offers. • Premiere private event spaces for events up to 300 guests • Variety of menu options including breakfast, lunch, dinner and hors d’oeuvres (custom menus available!) • Professional staff eager to assist with your special occasion! Mackenzie and Kevin met while they were both working for the same restaurant. Far from the grind of waiting tables - Kevin planned one of the most romantic proposals. He popped the question while on a flight to Europe while flying over Mackenzie’s favorite city, London. After a dreamy proposal, an equally as romantic wedding was fitting. Featuring a whimsical color palette, lush décor and a candle-lit ceremony, Mackenzie and Kevin’s wedding is nothing short of a fairytale. THE PLANNING Mackenzie and Kevin set their sights on a barn wedding. Mackenzie says, “We wanted to get married in a barn, but not do your typical barn wedding, which is why we went for a more boho feel.” With a bohemian style in mind, Mackenize utilized wedding planner Gene Huddleson of Detail+Design to nail down all of the details. THE PALETTE One of the most eye-catching design elements of this wedding are the colors used. Mackenzie says, “I wouldn’t say we had much of a color scheme. As you can see from photos, we did not limit ourselves into a general color. We did not like the idea of one color setting the entire design for the wedding.” The eclectic palette was as charming as it was bold. Offering pink hues with pops of yellows and greens seen in the florals - it was the perfect color scheme for this gorgeous barn wedding. THE VENUE Mackenzie and Kevin chose the Barn at Kennedy Farm as it was located right down the road from Mackenzie’s childhood home. Beyond that, the barn also features gorgeous interior woodwork with a vaultedceiling and picturesque grounds that make it ideal for ethereal, outdoor ceremonies. Mackenzie adds, “We had our ceremony in the barn and a tented reception out on their beautiful grounds.” It was the perfect venue for their dream wedding. Mackenzie and Kevin made great use of their décor throughout the design of the wedding. Their cocktail hour alone was cleverly curated. Mackenzie says, “I loved what we did for a cocktail hour with the colorful glassware, ladders for shelving, the unique speciality cocktails, sofa seating, etc. It just made it feel relaxed, fun and different.” Those few items can transform the experience your guests will have at your wedding. Not only do they make an aesthetic difference, but the sofas and glassware allow your family to sit down for an intimate glass of wine and unwind. Indy’s most romantic proposal spot! Daily reservations May-Oct. THE TRANSPORTATION Located on the picturesque Indianapolis Canal, Old World Gondoliers, offers a charming, fantastical experience for brides, grooms and lovers alike. Featuring whimsical gondolas and a serenading gondolier, Old World Gondoliers provides the romantic experience of a lifetime. Our idyllic location also highlighted the gorgeous Indianapolis skyline, which juxtaposed the gondolier for a modernmeets-dreamy-nostalgia look captured by Nathaniel Edmunds Photography. Given the ultra-romantic feeling of the shoot - Hannah had a specific palette in mind that would add some layers of interest. Hannah says, “I wanted to incorporate a lot of color to stray away from the usual color palettes that are seen a lot.” The vibrant colors in this shoot helped to contrast against the Indianapolis skyline. They brought a bold, yet charming vibe to further establish that oldworld atmosphere within the city. The florals by Eufloric Events were an impressive feature of the shoot, boasting lush greenery with pops of color. Hannah says, “We decided, really based on color and the romantic feel, that each flower provided to the aesthetic of the shoot. We wanted something a bit more free-flowing and organic to tie in with the whimsical and ornate gown.” From the tablescape arrangement to the bridal bouquet, Eufloric Events mastered the artistic feeling of the shoot. THE LOOK Borrowed from Milena’s Bridal, we decided on a Rara Avis gown, 'Lily' from their Floral Paradise collection. The artistic, striking dress served as a main source of inspiration for the shoot. Hannah says,”The gown was truly the focal-point when we were creating the shoot. I worked closely with the ladies at Eufloric Events to ensure that we could still do a lovely, colorful floral palette while making the dress be the main focus.” The delicately crafted gown featured an embroidered bodice with tiny, colorful floral embellishments. An overall soft and feminine bridal look was accomplished. Hannah says, “The bridal model’s hair was in a beautiful, low updo with a simple and delicate hair piece woven throughout to add a touch of elegance. The makeup had a hint of berry tones to coordinate with the dress perfectly.” Leanna’s Private Studio created the perfect bridal look for the shoot. “Kristina from Icing on the Cake really knocked this cake out of the park,” say Hannah. “The intricate details of the cake are what really make it shine. From the hand-crafted bird details to the sugar flowers, there was no detail left behind.” The detailed cake was the perfect pairing to the style of the shoot. The three-tiered cake was adorned with the smallest of details bringing an amorous edge to wedding cake design. Knox Flowers Kirklin, IN, 765.654.5235 knoxweddingsandevents.com See ad on page 56. That Special Touch Bridal Boutique Columbus, IN, 812.375.2223 specialtouchbride.com See ad on page 53. Froehlich's Three Oaks, MI, 269.756.6002 shopfroehlichs.com See ad on page 36. BRIDAL SHOWS Dream Team Wedding Showcase Berrien Springs, MI dreamteam.wedding See ad on page 34. Indianapolis Wedding Expos Throughout Indianapolis area indianaweddingexpos.com See ad on page 70. MENSWEAR Andrew Davis Clothiers Bloomington, IN, 812.323.7730 andrewdavisclothiers.com See ad on inside back cover. BAKERIES & DESSERTS DeBrand Fine Chocolates Fort Wayne, IN, 260.969.8333 debrand.com See ad on inside front cover. BEAUTY Blown Away Blowdry Bar Mishawaka, IN, 574.855.1635 facebook.com/blownawayblowdry See ad on page 37. Crystal Springs Florist Benton Harbor, MI, 269.925.1167 crystalspringsflorist.net See ad on page 35. Something Blue Stylists Available worldwide 260.463.6391 somethingbluestylists.com Trophy Skin Products available online. 866.546.4664 trophyskin.com True Beauty by Dana Valparaiso, IN, 219.765.5938 truebeautymakeupartist.com BRIDAL SALONS Becker's Bridal Fowler, MI, 989.593.2595 beckersbridal.com See ad on back cover. Beloved Brides Fishers, IN, 317.288.2903 belovedbrides.com See ad on page 62. BIANKA Bridal Grand Rapids, MI, 616.235.9300 biankabridal.com See ad on page 38. Blush Bridal & Beauty Boutique Fort Wayne, IN, 260.760.5857 goaheadandblush.com See ad on page 19. Northern Indiana Wedding Expo Culver, IN lakemaxmeadows.com/niwe See ad on pages 22-23. CATERERS CK Catering Benton Harbor, MI, 269.849.0693 ckcatering.biz Nelson's Catering Wakarusa, IN, 574.862.2184 nelsonsbbq.com See ad on page 18. ENTERTAINMENT Gaska String Quartet South Bend, IN, 574.229.0422 See ad on page 6. Jared Wade Entertainment Indianapolis, IN, 317.395.3548 jaredwadeentertainment.com See ad on page 62. Meg Rodgers, Harpist Saint Joseph, MI, 269.429.6377 megrodgers.net See ad on page 38. Mose Nasser Pyrotechnics Indianapolis, IN, 812.243.6623 mosenasserpyrotechnics.com FLORISTS Coby Palmer Designs Indianapolis, IN, 317.253.7160 cobypalmerdesigns. wordpress.com See ad on page 61. Unveiled Weddings & Events Crown Point, IN, 219.512.5620 yourunveiledevent.com See ad on page 15. Holiday Inn MIshawaka Mishawaka, IN, 574.258.4408 holidayinn.com/mishawakain See ad on page 20. REGISTRIES Bed, Bath & Beyond Locations throughout the U.S. bedbathandbeyond.com See ad on page 49. RENTALS/LINENS AAYS Event Rentals Mishawaka, IN, 574.256.1110 aaysrental.com A Classic Party Rental Indianapolis, IN, 317.251.7368 aclassicpartyrental.com See ad on page 71. Burns Rent-Alls, Inc. Special Events Mishawaka, IN, 574.259.4807 burnsrentals.com See ad on page 2. STATIONERY Louella's Paperie Carmel, IN, 317.500.4852 louellaspaperie.com See ad on page 71. TRANSPORTATION Epic Limo Valparaiso, IN, 219.462.5466 epiclimoinc.com See ad on page 15. PLANNERS/COORDINATORS All in the Details Indianapolis, IN, 317.821.7526 detailsindy.com See ad on page 57. Southwestern Michigan Tourist Council Benton Harbor, MI, 269.925.6301 swmichigan.org See ad on page 39. VENUES 19 North Three Oaks, MI, 269.756.6002 See ad on page 36. Apple Blossom Chapel and Gardens Fennville, MI, 269.561.5563 appleblossomchapel.com Auburn Cord Duesenberg Automobile Museum Auburn, IN, 260.925.1444 automobilemuseum.org See ad on page 8. Balmoral House Fishers, IN, 317.288.8741 thebalmoralhouse.com Blissful Barn Three Oaks, MI, 269.759.4682 blissfulbarn.com The Blue Teal Wakarusa, IN, 574.862.2184 See ad on page 18. Old World Gondoliers Indianapolis, IN, 317.340.2489 4gondola.com See ad on page 71. The Boulevard Inn & Bistro Saint Joseph, MI, 269.269.2699 theboulevardinn.com See ad on page 38. TRAVEL & ACCOMMODATIONS Hampton Inn Indianapolis Downtown Indianapolis, IN, 317.261.1200 hamptoninn3.hilton.com See ad on page 62. Events by D. Nicole Fishers, IN, 317.965.0190 eventsdnicole.com See ad on page 61. HawksHead Inn South Haven, MI, 269.639.2121 www.hawksheadlinks.com See ad on page 34. Holden Michael Events Saugatuck, MI, 269.205.8305 holdenmichaelevents.com See ad on page 32. Gable Hill Marcellus, MI, 269.281.4266 gablehill.com Gallery Forty-Two Indianapolis, IN, 317.822.4242 galleryfortytwo.com See ad on page 61. Gillespie Conference & Special Event Center South Bend, IN, 574.232.7700 gillespieconferencecenter.com See ad on page 9. The Greenhouse at Zao Island Valparaiso, IN, 219.477.8480 greenhousevalpo.com See ad on page 6. The Hall at Oakland Park Nappanee, IN, 574.773.1001 oakland-hall.com See ad on page 24. Hidden Vineyard Wedding Barn Berrien Springs, MI 269.408.6082 weddingbarnmi.com Hillcrest Country Club Indianapolis, IN, 317.251.1425 hillcrestccindy.com See ad on page 62. Indiana Landmarks Indianapolis, IN, 317.639.4534 indianalandmarks.org See ad on page 63. The Indianapolis Public Library Indianapolis, IN, 317.275.4200 events.imcpl.org See ad on page 56. Indianapolis Zoo Indianapolis, IN, 317.630.2008 indianapoliszoo.com See ad on page 63. The Inn at Harbor Shores Saint Joseph, MI, 269.983.1111 innatharborshores.com See ad on page 37. Lake Max Meadows Culver, IN, 574.598.0022 lakemaxmeadows.com See ad on pages 22-23. The Silo Banquets & Catering Allegan, MI, 269.686.8383 silobanquet.com See ad on page 33. Spohn Ballroom Goshen, IN, 574.849.5180 spohnballroom.com See ad on page 18. LEX 530 Elkhart, IN, 574.296.1335 lex530.com See ad on page 14. The Lodge at River Valley Farm Yorktown, IN, 765.759.0442 thelodgeatrivervalleyfarm.com See ad on pages 54-55. Studebaker National Museum South Bend, IN, 888.391.5600 studebakermuseum.org See ad on page 6. The Loft on Isanogel Muncie, IN, 765.759.0442 theloftonisanogel.com See ad on pages 54-55. Three Oaks Social Club Three Oaks, MI, 269.756.6002 threeoakssocialclub.com See ad on page 36. Monumental Weddings & Events by Community Life Center Indianapolis, IN, 317.396.3728 monumentalweddings.com See ad on page 60. Tippecanoe Place South Bend, IN, 574.234.9077 tippe.com See ad on page 7. The Morris Estate Niles, MI, 269.684.4443 themorrisestate.com See ad on page 32. Mustard Seed Gardens Noblesville, IN, 317.776.2300 mustardseedgardens.com The Orchid Events & Catering New Haven, IN, 260.749.5888 theorchidevents.com See ad on page 16. Palais Royale/Morris Performing Arts Center South Bend, IN, 574.235.5612 palaisroyale.org See ad on page 17. Rock Run Creek Barn Goshen, IN, 574.238.7972 facebook.com/rock.run.creek See ad on pages 10-11. From consultation to preparation to on-going support, we work with your wedding party to ensure perfection. With meticulous attention to detail, we create clothing that will complement your weddingâ&#x20AC;&#x2122;s unique style. And, when the day is yours, our place is yours. Reserve the Andrew Davis Bespoke Showroom to host your groomsmen. Weâ&#x20AC;&#x2122;ll look after every last-minute detail and accessory fitting. When you call, we answer.